Simon & Schuster, 9781476747231, 368pp. 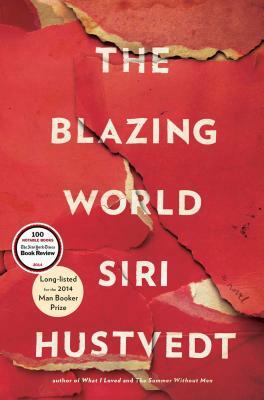 Longlisted for the prestigious Man Booker Prize and hailed by The Washington Post as “Siri Hustvedt’s best novel yet, an electrifying work,” The Blazing World is a masterful novel about perception, prejudice, desire, and one woman’s struggle to be seen. "[C]omplex, astonishing, harrowing, and utterly, completely engrossing." [A]n exuberantly clever piece of work.... [A] novel that gloriously lives up to its title, one blazing with energy and thought. “Larger-than-life Harry reads vociferously, loves fervently, and overflows with intellectual and creative energy….Hustvedt dissects the art world with ironic insight….This is a funny, sad, thought-provoking, and touching portrait of a woman who is blazing with postfeminist fury and propelled by artistic audacity."